The korowai (cloak) is made from individually designed feathers, from over 60 Ōtautahi students. Each feather drawing combines, linking the people who contributed to it just as the rivers link on our landscape. The kōwhaiwhai pattern is an interpretation of the braided rivers, the form is influenced by the birds eye view of the rivers, the way they move and braid. Kayla and Manaia were selected from the Re:ACTIVATE Junior and Senior Aspiring Artists competition in June 2018 – an open call for young artists to submit ideas. 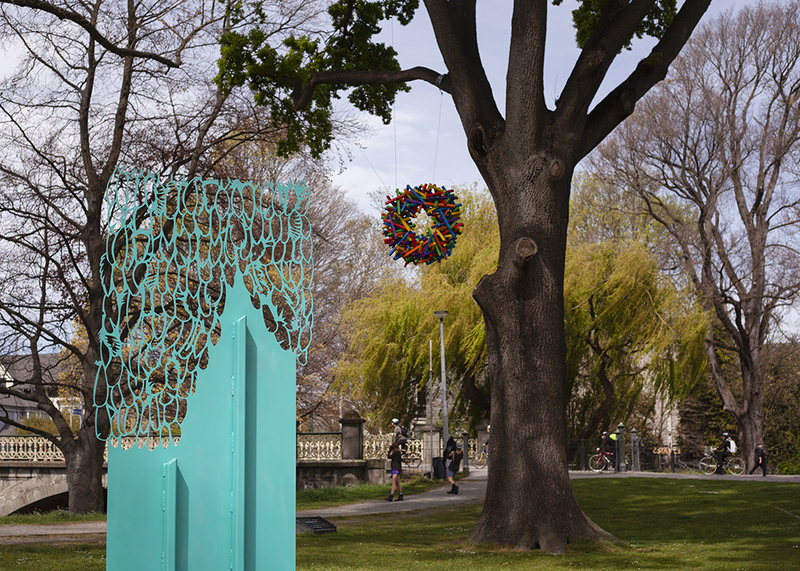 The three winners' projects (Junior and Senior) have been built and displayed in Hagley Park as part of the SCAPE Season 2018.